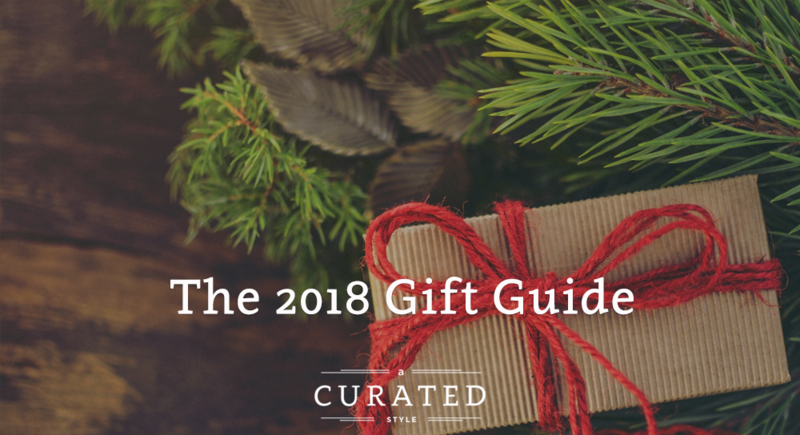 It’s officially holiday shopping season and we’re back with another gift annual gift guide. This is for people who are shopping for someone stylish, or if you want to inject a bit of style into someone’s wardrobe. As always, I try to stay a bit more broad and not get too specific into clothing. Stylish people, self included, can be very picky about others buying them clothes. I’ve recommended this one in past gift guides and for good reason. 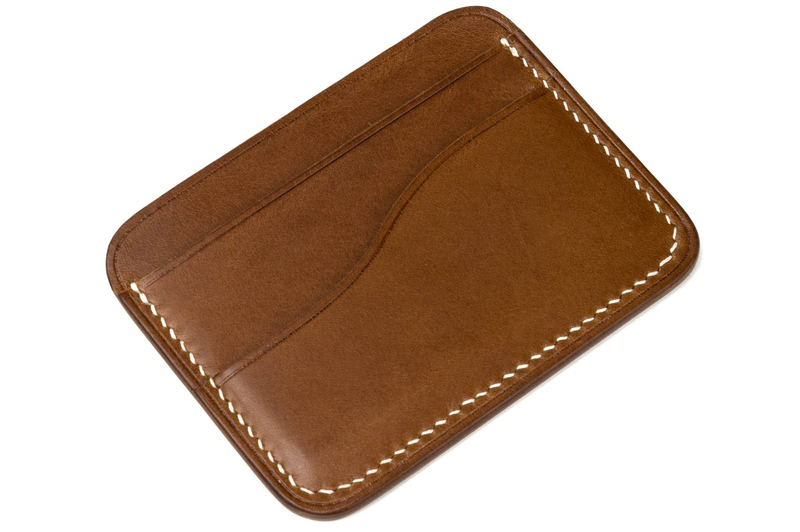 Having a slim wallet is a game changer, and reduces the bulk that bi-fold wallets have. You hardly feel them in your pockets. I highly recommend this handmade Saratoga wallet from Full Grain Creations. It is top notch quality leather and craftsmanship. Check out my review of a similar wallet from Full Grain Creations you want more details. I’m a huge fan of Chelsea boots because the right pair looks really good with denim, chinos, or even with a suit. And it’s convenient not having to tie them either! Just make sure the pair you choose isn’t too bulky. Chelsea boots look much better with a slimmer profile. 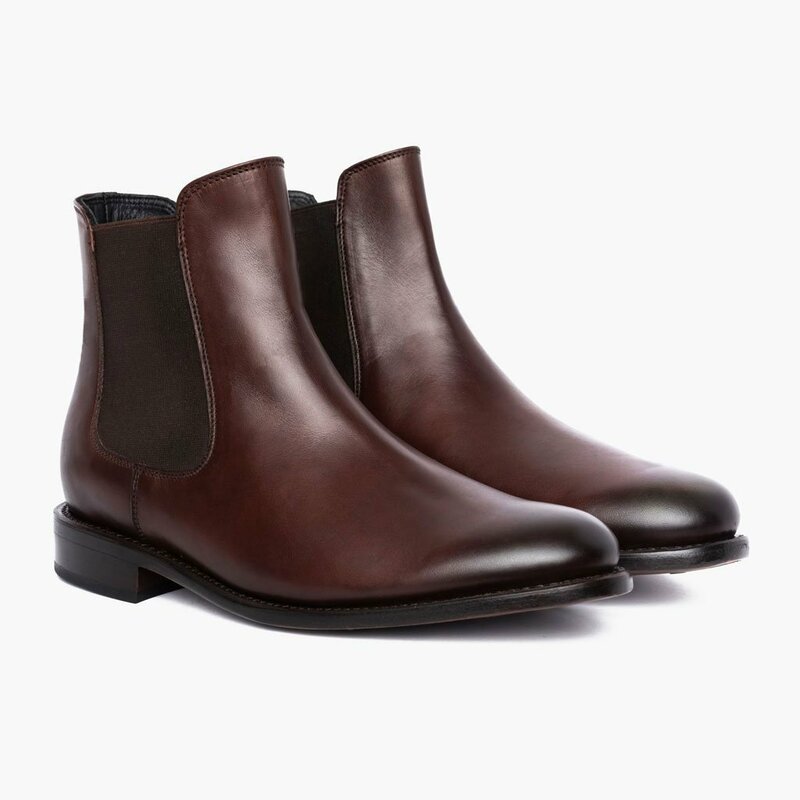 I recommend Thursday Boot’s Cavalier Chelsea boots. They’re a great combination of style and price. Umbrellas are generally an afterthought, and rarely considered in our day-to-day…unless it rains. Few things ruin an outfit more than it being drenched from the rain. Gift someone a stylish umbrella and protect their outfit from the elements. 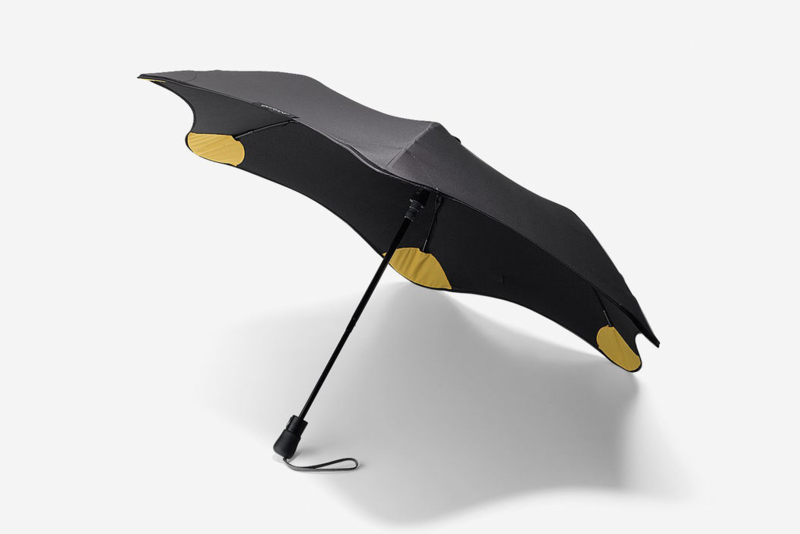 My recommendation is this umbrella from Grand.ØS x Blunt Metro Umbrella from Cole Haan. It looks really good, and very portable so it’s not a hassle to carry around. Who says guys can’t look good while whipping up a meal? This option is for that stylish person that likes to cook. Gift them this denim apron to protect their clothes from potential splash and spills while in the kitchen. 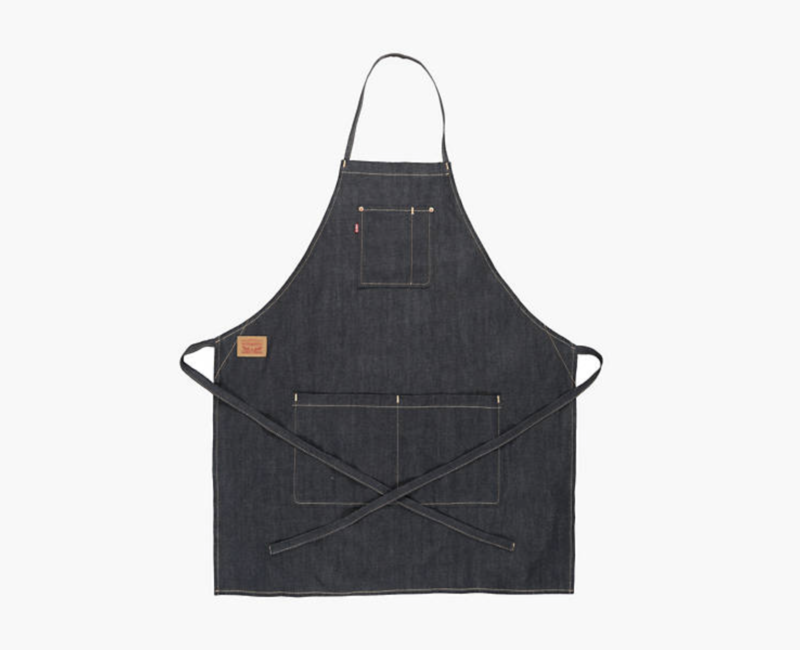 This denim apron from Levi’s is a good choice, and should look better as it ages. Stitch Fix was my top choice for clothing subscription services, and a gift certificate is a great choice. It’s hard to buy clothes for stylish people, so gift them a subscription, and let them choose their own clothes and get a taste of a clothing subscription service. For the watch wearing guys, this is a great gift. Having multiple watches laying around on a surface is sloppy. Help someone get more organized and store their watches in a case. 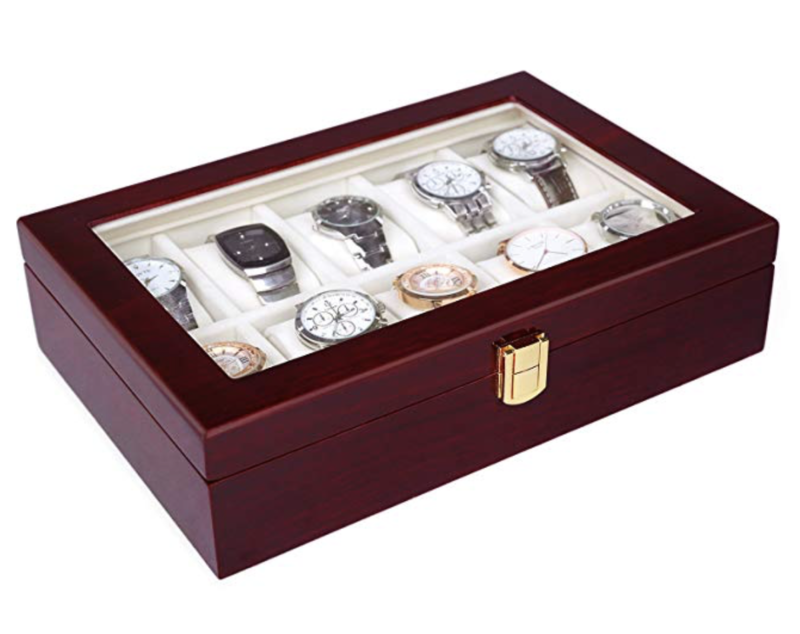 Storing your watches in a case will also help keep dust out of the insides of the watch. There are tons of options on Amazon, so any choice would work there. 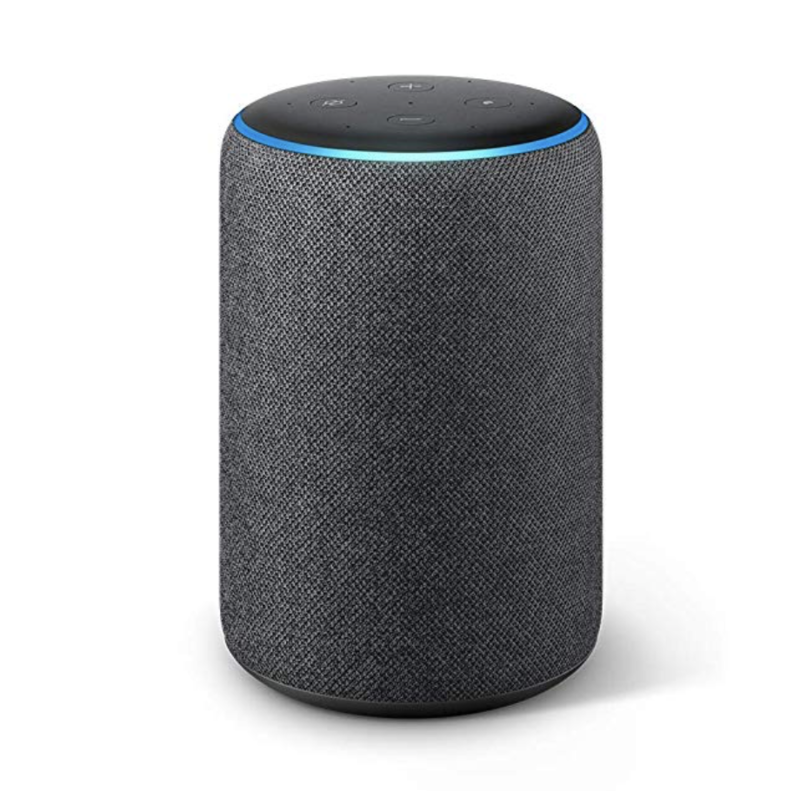 Speaking of Amazon, they’ve upgraded big time on the style front with their Echo Plus. There are a thousand different uses for them, but at the very least, it’s a great way to play music. It’s also a great way to add some style to your countertop. These devices get cooler when you start adding lights and things to control with your voice. Possibilities are endless.